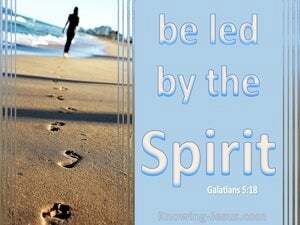 ﻿ Galatians 5:18 But if you are led by the Spirit, you are not under the law. 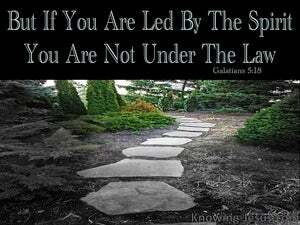 But if you are being led by the Spirit, you are not under the Law. But if ye are led by Spirit ye are not under law. But if you are guided (led) by the [Holy] Spirit, you are not subject to the Law. But, if you are led by [what] the Holy Spirit [wants you to do], you are not under [obligation to meet the requirements of] the law of Moses. but if you are governed by the spirit, you are not subject to the law. but if ye are led by the Spirit, ye are not under law. But if you are guided by the Spirit, you are not subject to law. And if ye are led by the Spirit, ye are not under the law. But if you be led of the Spirit, you are not under the law. 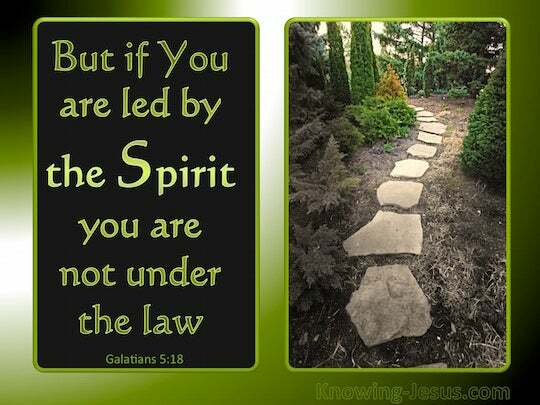 But and if ye be led of the spirit, then are ye not under the law. If you are under the sway of the Spirit, you are not under the Law. But if you are habitually led by the Spirit you are not under law. And, if, by Spirit, ye are being led, ye are not under law. But if ye are under the conduct of the Spirit, ye are not under the law. But, if you follow the guidance of the Spirit, you are not subject to Law. But if the Spirit is leading you, you are not subject to Law. But if you are guided by the Spirit, you are not subject to the law. But, if ye are being led by the Spirit, ye are not under law. But if ye be led by the Spirit, ye are not under the law. and if by the Spirit ye are led, ye are not under law. Good and upright is Yahweh, therefore he will instruct sinners in the way. Cause me to hear your loving kindness in the morning, for I trust in you. Cause me to know the way in which I should walk, for I lift up my soul to you. If we live by the Spirit, let's also walk by the Spirit.